I. JUST. GOT. A. LUMIA. 630. Also, I’m going to see ‘the mouse’ (see October/November posts) and my uncle on Wednesday. I only heard about this yesterday!! OK, so I randomly saw a note on my dad’s desk; it actually made me cry! I don’t cry a lot, not even at sad movies. Read it for yourself and see! Now, is that sad or WHAT?! I. AM. LESS. THAN. FIVE. POUNDS. AWAY. FROM. A. NEW. PHONE!! So, I was in my room crying, and my dad came in and silly me thought he was coming in to see if I was OK (my room is where I go when I’m sad, or asleep). FOR GOODNESS SAKE MY DAD CAME IN FOR A WASHRAG. UGH I’m really upset at him now. He KNOWS my room is my primary sad source. Which phone is right for you? TAKE THE QUIZ! Looking to buy a phone, but don’t know which one? Help is at hand! Take this simple 5-question quiz, find out the best phone for you! It’s Saturday afternoon and you have 1 hour of free time. What do you do? If you could name 1 thing you needed to have on your phone, what would it be? On average, how much are you willing to pay each month? Why do you need your phone? C) I just started walking to school on my own; I’ll need it to call my mom to tell her I’m OK.
D) We don’t have much for entertainment around the house. Would you like an old or a new model? A) NEW. If I’m going to replace my iPod, I might as well get a new phone. B) Dude, there’s only one model on the market. C) Old. I won’t use it much; why waste money? D) Doesn’t matter. As long as it’s got games, I’m fine! You love good music – and good trends! The iphone 6 is right for you! Online shopping is right up your street! You’re totally unpredictable; first you’re buying a t-shirt, then you’re buying a car! 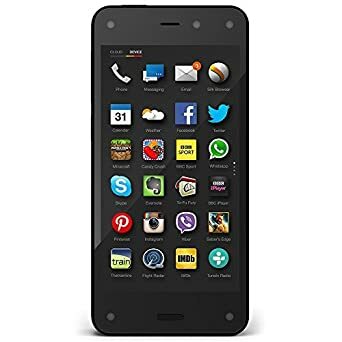 Welcome to the fire phone! Addicted to games? This is the right phone for you! The Samsung Galaxy S3 mini has a low price for big entertainment! That’s it! Have fun with you new phone! So today a boy in my class couldn’t bother to put his glue in the drawer, so my teacher made him write an essay (title of the essay is the same as the post title) of why you should never drop glue on the floor (it’s a glue stick). OUR TEACHER ACTUALLY PHOTOCOPIED THE ESSAY!! 6) I’m fully capable of picking it up. 8) Other people get tired of picking it up. 11) If someone’s crawling, their hand could hit it. 12) It’s a trip hazard! Never drop glue on the floor. There we are! 25 reasons you should never drop glue on the floor. You have GOTTA show this to your friends!